Computed tomography — more commonly called CT or CAT scan — is an advanced form of X-ray imaging that uses a computer to combine many X-rays into one detailed image to provide information on bones and soft tissues. As you pass through the ring of the CT scanner, it uses X-rays to take images of your body. A computer reconstructs the data into detailed images. 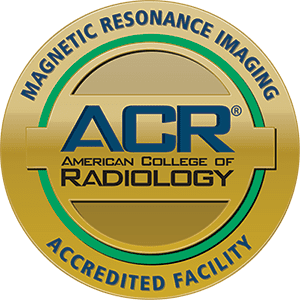 At Bellingham Advanced Medical Imaging, the images are taken on a 64-slice scanner, which means the exam is quicker and produces the highest quality images available — even pictures of your heart. Our scanner also comes with advanced technology that automatically minimizes radiation dose. The detailed images created by CT can help you and your doctor get a much better picture of your injury or disease. Using these layers, our trained radiologists can see greater detail, like the angles of a fracture or the size and shape of a mass or stone. One of the advantages of CT is how quickly it creates this level of detail. Depending on the type of image your doctor has requested, your imaging may include contrast. This special material is swallowed or delivered to your vein through an IV. The CT machine will identify the contrast, which defines and highlights different structures and any abnormalities. CT can be used for images of any body part, including bones and joints, chest, abdomen, pelvis, and the brain. If your doctor has ordered your CT with contrast, let us know if you have any history of iodine sensitivity or allergy to imaging contrast. 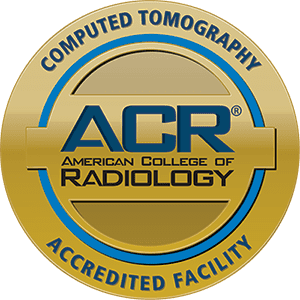 As with any medical imaging, it’s a good idea to leave your valuables at home when you come for your CT. It’s best to not wear jewelry or any other metal during your CT to ensure nothing blocks your image. We invite you to wear comfortable clothing. If at all possible, we’ll let you stay in your own clothes for your scan. If your CT includes contrast, you may have to come to Bellingham Advanced Medical Imaging for the contrast a bit ahead of your actual scan. You’re welcome to bring a book or something else to do while you wait. When it’s time for your CT, you’ll lie down on a table. The CT machine looks like a big donut. During your scan it may move around you. Most scans are less than sixty seconds. If you had contrast for your exam, it will pass through your system harmlessly over the next day or so. In the meantime, your radiologist will look through your CT image carefully and write a report with all the findings. That report is sent very shortly to the health care provider who ordered your CT. Your doctor will go over the results with you and help you plan treatment or next steps if necessary.